If you have recently viewed this page, after loading the page be sure to click on the refresh button on your browser to see the current version of Hot Off the Press! Wisconsin and the articles below. Wednesday, June 5, 2019 - 16th Annual New Horizons Un-Limited Benefit Golf Outing- See our Golf Registration below. Our Annual New Horizons Un-Limited Benefit Golf Outing, will be held Wednesday, June 5, 2019 at Hawk's View Golf Club in Lake Geneva, Wisconsin. With a best ball format and our unique Mulligan Package, you need not be an expert golfer to enjoy our outing. Plus, our after-round banquet offers a great opportunity to catch up with old friends and network with colleagues. Our outing offers a number of terrific promotional sponsorship opportunities in a variety of price ranges. 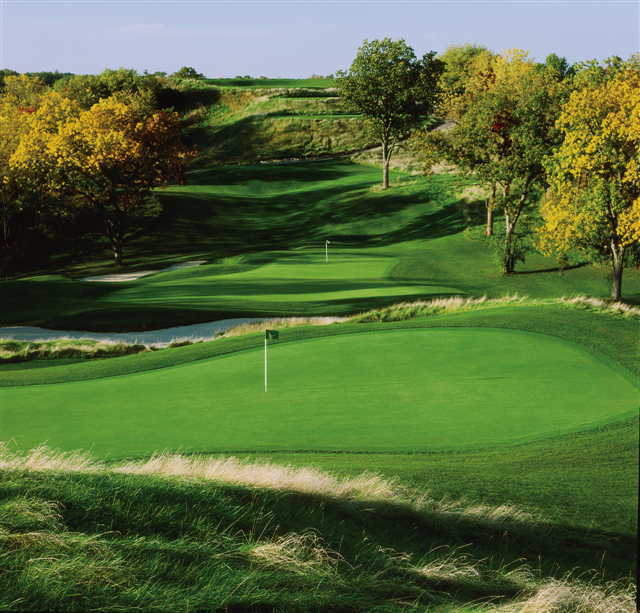 Our golf outing draws more than 100 golfers from the Greater Milwaukee and Greater Chicago areas, offering an excellent opportunity to reach this audience. to purchase raffle tickets and contribute donations. Other prizes include restaurant certificates, hotel stays, festival and museum tickets, sporting event tickets and more. . Check back often as we update our complete list of prizes. Microsoft has officially announced their new Xbox Adaptive Controller. If you missed the commercial, check it out at We All Win The story illustrates Microsoft’s commitment to building accessible technology that levels the playing field and creates opportunity for all of us. Wisconsin State Parks will begin accepting Accessible Cabin reservations on January 10, 2019 for the 2019 camping season. There are eight accessible cabins and two rustic accessible cabins currently available in the Wisconsin State Park System. The cabins are available for use exclusively by people whose physical disability makes use of traditional camping facilities very difficult or unlikely. January 1, 2019 - NHU is a Microsoft Certified Computer Refurbisher and we grant refurbished computers to people with physical disabilities in Southeastern, Wisconsin. October 2018 - - Read this article by Film Journal: Marcus Corporation is awarded Wisconsin "Exemplary Employer Award"
Marcus Corporation was awarded Wisconsin Exemplary Employer Award this month in honor of National Disability Employment Awareness for the month of October. "The Marcus Corporation was nominated as a result of its active engagement with key programs that assist individuals with disabilities in gaining employment. Through its cinemas, hotels and restaurant operations, The Marcus Corporation supports Project SEARCH, which assists young adults with disabilities to gain and maintain employment, and actively recruits through the DWD’s Division of Vocational Rehabilitation. In addition, The Marcus Corporation supports programming efforts of organizations that serve individuals with disabilities, including Goodwill Industries of Southeastern Wisconsin, Easter Seals Southeast Wisconsin, Pantheon Industries and Variety—The Children’s Charity of Wisconsin." Getting ready for your child with Special Needs to go back to school. Visit our new Education Series: Expect more for your child than the 3r's - Teach independence, self-esteem, resourcefulness, creativity, collaboration, and more! For Parents and Teachers -- written by a Parent and Teacher. Check out our NHU Flower Power Sale! Visit our 2018 NHU Benefit Fundraising with Flowerbulbs Full Color Catalog. Printable order forms are now available. The Flower bulbs are via Flower Power, we keep 50% of all sales! Interested in hiking the trails at Horicon Marsh? The boardwalk is accessible by wheelchair or stroller and is a 1/4 mile hike from the Center to Indermuehle Island. There are five miles of trails at the Horicon Marsh State Wildlife Area that offer hiking through woodlots, planted prairies and onto the marsh. Trails are all of easy grade, and relatively flat, but are unsurfaced. Surface material is mowed grass and gravel and is not readily accessible by wheelchair or stroller. Visit the Hiking Map[PDF] to find these locations. June, 2018 - This summer, take a trip if you wish, but outdoor adventure awaits right here in Milwaukee. Wednesday, June 6, 2018 - 15th Annual New Horizons Un-Limited Benefit Golf Outing- See our Golf Registration below. Our Annual New Horizons Un-Limited Benefit Golf Outing, will be held Wednesday, June 6, 2018 at Hawk's View Golf Club in Lake Geneva, Wisconsin. Support the Friends of Harrington Beach who support the Harrington Beach Accessible Camping Cabin and other accessible features in this state park. Enjoy a FREE Pancake Breakfast at the Ansay Center from 8am until Noon. Donations are appreciated! This year a vehicle admission fee is required. After breakfast enjoy the accessible trails around the quarry, and accessible fishing and beach amenities! Directions: Take Interstate 43 from Milwaukee 40 miles north to the Belgium, Wisconsin exit. Sign up a family member with a disability to experience the outdoors this season at: dnr.wi.gov/topic/parks/camping/cabin.html. 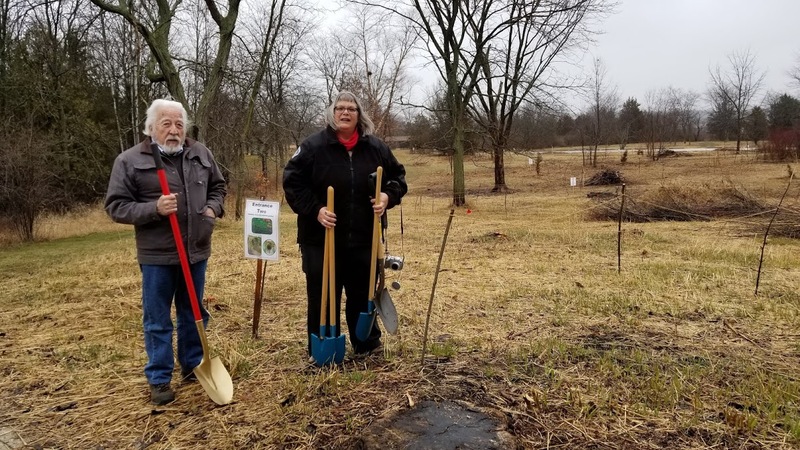 We are excited to announce this week's groundbreaking for the Richard Bong (Wisconsin) State Recreation Area and their Friends group, the Bong Naturalist Association, who are raising funds and installing a Nature Explore Classroom. Hoping to disconnect kids from their electronics and grant opportunities that may not otherwise be available, the Nature Explore Classroom will allow kids to develop an appreciation of nature, science, art and music and a lifelong passion for nature activities. The project has been the dream of Beth Goeppinger, Naturalist at the park. (See photo) Known for the Accessible Cabin at Bong, our NHU President, Art Miller (See photo) of Miller Engineering was asked and volunteered services to create the construction plan. Along with Lavern Nall, Strass Maguire Architects, they implemented the layout of accessible grading and walkways. With eleven "classroom" areas dedicated to nature, movement and explore areas, the meandering trail takes one through woods, by rocks and bushes, and up and down gentle slopes, which will now be entirely ADA accessible. The Bong Naturalist Association is still looking for donations - cash or in-kind. Work days will be held this spring and a fundraising Open House will be on Saturday, June 2 from 10am-12noon at the park. YOU can get involved with this exciting project! For more information, visit the bongnaturalistassociation.org or call (262) 878-5607. New Horizons Un-Limited (NHU) is an exhibitor at the 2018 Earth Day Exposition on Thursday, April 19th from 10am-1pm at the US Bank (Downtown Tower), Galleria Level. 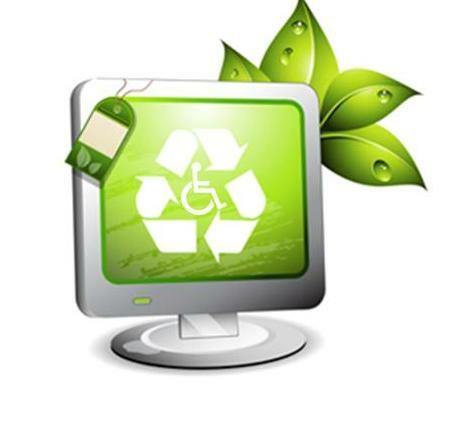 Join us to find out how to recycle your used computer or laptop to NHU to be refurbished and regranted to people with disabilities in our community. Recycle your computer through NHU and give a great gift of opportunity! Win a raffle prize from one of the exhibitors. About 30 green exhibitors from various organizations and endeavors in Milwaukee and Southeastern Wisconsin will participate in the event. You will also be able to find out how to stay safe bicycling, grow a garden using natural compost, learn more about conservation of land and water endeavors throughout Southeastern Wisconsin and much more. 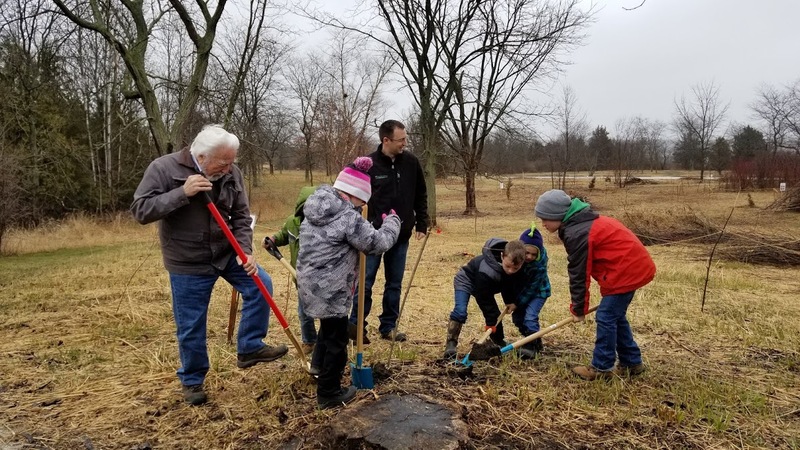 Saturday, April 14, 2018 from 10-11AM Bong Wisconsin State Recreation Area, outside Burlington, Wisconsin invites you to the Ground Breaking Ceremony for the Nature Explore Classroom at the Visitor Center. There is growing evidence that children's mental and emotional health is enhanced through regular contact with the outdoors, particularly in natural settings. Unstructured outdoor play helps children develop gross and fine motor skills, spatial reasoning, logical thinking and problem-solving skills. Children with disabilities will find the space accessible and helpful in focus. The Natural Explore Classroom plans to have eleven "classroom" areas dedicated to movement and music, open play, dirt and sand digging, building, gardening, messy materials, climbing and crawling, water exploration and nature art. Our President, Art Miller, of Miller Engineering and New Horizons Un-Limited volunteered the construction plans with accessible walkways and grading for the NEC and will participate at the event. March 31, 2018 - Milwaukee is home of a gold medal hockey team. Paraplegic Veterans who train at the Zablocki VA in Milwaukee have brought back a gold medal from Korea. The team physician, Dr. Michael Ulhien in a news article on WISN TV said there is no other clinic like it in the country. Paraplegic Hockey is a dangerous sport. The veterans skate on sleds and have picks on the end of their sticks to help propel them along. They also take hits of speeds of up to 30 miles per hour, or basically a car wreck. The veterans drive up from as far away as Illinois to be part of the program. The US team beat the favored Canadians by a score of 2 to 1. 2018 Raffle and Auction Donors and to you, our supporters, our NHU Benefit Spring fundraiser was a great success! Other prizes include restaurant certificates, hotel stays, festival and museum tickets, sporting event tickets and more. Check out our 2018 Raffle and Silent Auction Prize List. Check back often as we update our complete list of prizes. Stop by the day of our event to bid in the Silent Auction or purchase your Raffle tickets. Wisconsin State Parks will begin accepting Accessible Cabin reservations on January 10, 2018 for the 2018 camping season. There are eight accessible cabins and two rustic accessible cabins currently available in the Wisconsin State Park System. The cabins are available for use exclusively by people whose physical disability makes use of traditional camping facilities very difficult or unlikely. Accessible modern cabins are available at Wisconsin's Harrington Beach, Kohler-Andrae, Mirror Lake, Buckhorn, High Cliff, and Potowatami state parks, Richard Bong State Recreation Area and Kettle Moraine State Forest-Southern Unit. Rustic accessible cabins are available at Copper Falls and Blue Mound state park. In the above Report GAO estimates that no more than half of all schools participating in any type of voucher program mention students with disabilities anywhere on their websites, according to GAO's review of a nationally generalizable sample of websites of private schools in voucher programs. Further, GAO estimates that no more than 53 percent of private schools in voucher programs designed for students with disabilities provide disability-related information on their websites. November 6, 2017-	Read our new blog: "Combating Depression: Exercise Your Mind, Body"
Read our new blog. "I know it’s common for people to not fully respond to medication regimens for curing their anxiety and depression. Therapy can and does help, but if you are like me, you have done almost everything you can think of to adjust your medications, with the help of your doctor. Going through medication adjustments are bad enough, but going through medication changes can alter life plans and leave you in a worse place than where you started. At least until the medication settles in. I’ve recently found however that there are alternative methods that could help me combat my depression, anxiety, and paranoia. If I gave you some alternatives to try, would you give them a chance? There are both physical and mental alternatives that can be used with the standard regimen of medication and counseling." How has the ADA helped you! Share your ADA experience with us at NHU! Who Designed and Built the First Accessible Camping Cabins in the Wisconsin State Parks! 1990-1991! 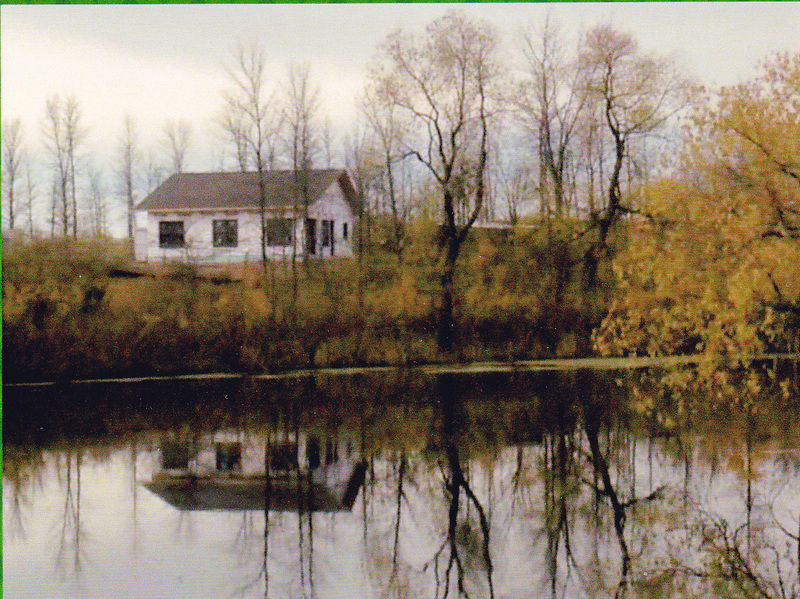 Wisconsin was given a great gift in 1991, Mirror Lake Accessible Camping Cabin for people with disabilities and their famlies to be able to enjoy the Wisconsin State Park. We must appreciate today the amount of time and commitment that the members of the committee, the efforts of Anthonette Gilpatrick, Accessiblity Coordinator for the Wisconsin DNR, the Wisconsin DNR, Paul Quick II, architect and Art Miller, engineer and the Telephone Pioneers. 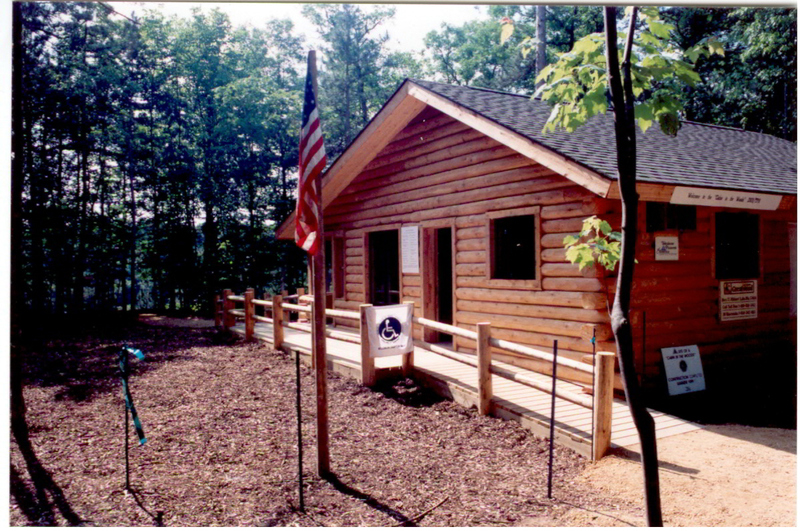 This was just before the ADA was brought to law, yet the accessible ideas and decisions they made are the basis for the design and the accessible priorities and implementation of the seven additional cabins that have been built since 1991 in the Wisconsin State Parks. New Horizons Un-Limited has embarked on a creative awareness endeavor in A Story of Being Human. In this storytelling photography series, we capture the unique lives and stories of humans. These humans also happen to have disabilities. Through photos and words, we are sharing the lives of humans throughout social media. We have learned that everyone has a perspective worth sharing, and these perspectives help us relate to one another in a day and age where it can be difficult to see eye-to-eye. Oftentimes, people with disabilities are categorized as ´taboo´ or ´other´, when in reality, their stories do not always focus on disability­ they focus on life. We invite you to follow along as we share the stories of humans, and we hope it encourages you to share your story as well. Visit this article on Wauwatosa Now Link no longer available. Wauwatosa Mayor Kathy Ehley cut the ribbon for an adaptive bike sharing station in Hart Park with Alderman John Dubinski, Wisconsin 5th District and Deb Falk Palec, Chair of the Milwaukee County Commission for Persons with Disabilities who were instrumental in bringing the adaptive bikes to Tosa. Zagster Company agreed to rent the bike station on a one year trial; including two tricycles, a side-by-side and a hand cycle. The bikes are available through the Zagster app or by text message. June 8,2017 - We want to Thank our Sponsors, Donors, and Golfers for Making Our 14th Annual New Horizons Un-Limited Benefit Golf Outing a Great Success! We had a wonderful day at the Hawk's View Golf Course! Our Sponsors and Golfers make this event memorable. Visit our Facebook Photo Album of this year's exciting event! Thank you to our NHU Golf Outing Sponsors and Donors, who help to make our programs possible! New Horizons Un-Limited (NHU) is an exhibitor at the 2017 Earth Day Exposition on Thursday, April 13th from 10am-2pm at the US Bank (Downtown Tower), Galleria Level. Join us to find out how to recycle your used computer or laptop to NHU to be refurbished and regranted to people with disabilities in our community. Recycle your computer through NHU and give a great gift of opportunity! 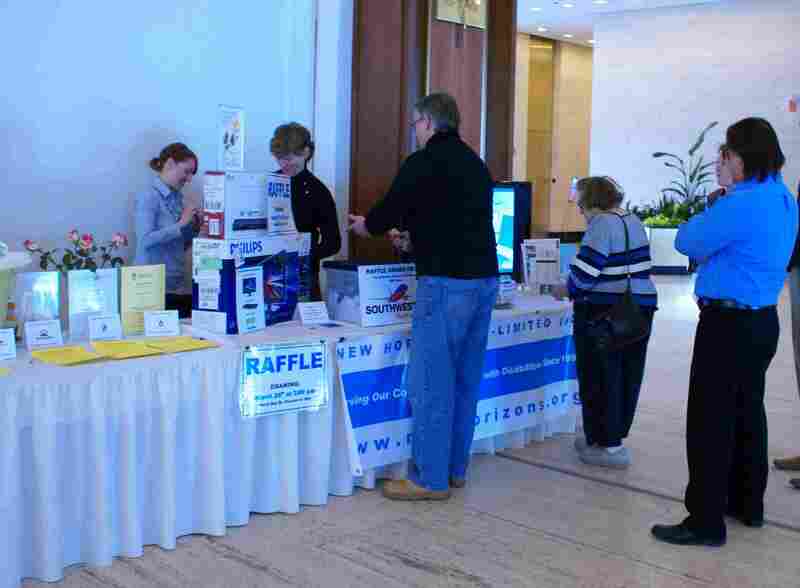 Win a raffle prize from one of the exhibitors. About 30 green exhibitors from various organizations and endeavors in Milwaukee and Southeastern Wisconsin attended last year's event. You will also be able to find out how to stay safe bicycling, grow a garden using natural compost, learn more about conservation of land and water endeavors throughout Southeastern Wisconsin and much more. 2017 Raffle and Auction Donors and to you, our supporters, our NHU Benefit Spring fundraiser was a great success! Other prizes include restaurant certificates, hotel stays, festival and museum tickets, sporting event tickets and more. Our 2017 Raffle List is in development. Check back often as we update our complete list of prizes before the drawing. February 2017 - This year plan a day or two away at Welcome H.O.M.E. in Newburg, Wisconsin! The state parks only allow each visitor a 4 night stay so if you are looking to fill your week at another accessible venue consider this vacation alternative just a few miles from J.M. Kohler-Terry Andrae State Park near Sheboygan, Wisconsin. Welcome H.O.M.E (House of Modification Examples) is a Bed and Breakfast located in Newburg, Wisconsin, but it is not your ordinary B and B. Welcome H.O.M.E. was built to be visited and enjoyed by everyone, regardless of ability or disability. Equipped with varied adaptive devices and designed with accessibility in mind, all are encouraged to "come as you are." All public rooms, private guestrooms, bathrooms, and hiking trails throughout the 17 acre woodland are accessible. Experience the beauty of the great outdoors, leisurely explore numerous and varied accessible home design ideas and adaptive equipment and visit Riveredge Nature Center just a mile down the road. To arrange a visit to this unique wheelchair accessible country home, contact Welcome, H.O.M.E. at P.O. Box 333, 4260 West Hawthorne Drive (Hwy. Y), Newburg, Wisconsin 53060, call (262) 675-2525, or visit their website. Wisconsin State Parks will begin accepting Accessible Cabin reservations on January 10, 2017 for the 2017 camping season. There are eight accessible cabins currently available in the Wisconsin State Park System. The cabins are available for use exclusively by people whose physical disability makes use of traditional camping facilities very difficult or unlikely. Check out this article online as the author updates this issue through the new report released by the U.S. Government Accountability Office (GAB). From the report in 2013 by the Milwaukee Journal Sentinel investigating infant death and permanent disability from screening delays by hospitals and state labs, President Barack Obama signed a bill in 2014 which authorized $20 million to support newborn screening systems across the states. Find out how the GAO arrived at their 2016 results that the states still fail to meet newborn screening goals, the progress that has been made and the work that must still be done to properly screen newborns, how screening varies from state to state and how the advisory committee has little authority to improve the performance of state public health labs. Visit the Milwaukee Journal-Sentinel Special Report by Ellen Gabler, "The Price of Being Wrong" The report found that the lab "science can be flawed." "A child’s life-threatening condition might be caught in one state but missed in another because there’s little uniformity in the policies, procedures and cutoffs used to screen disorders. In each state, people with competing interests have a say in how newborn screening is done. Lawmakers, doctors, laboratory professionals and representatives from health departments, hospital associations and advisory groups all weigh in. States say they can’t improve screening because they are constrained by costs, and lawmakers won’t approve more money to fund the state lab. For years, a federal advisory committee has discussed trying to bring more uniformity to newborn screening. But little action has been taken to standardize the way screening is done despite known advances in science. State governments are generally shielded from lawsuits under “sovereign immunity,” a principle from English common law meaning “the king can do no wrong.” The idea is that lawsuits could bankrupt the state and prevent it from providing services to the rest of the community. As a result, parents of injured children can’t recover money from the state to help care for their child’s lifelong disability, so they sue someone else — like a pediatrician, or others who may not be primarily at fault." In this case, the parents sued the pediatrician and lost the suit. The lawyer pointed out the great cost of a life unable to be lived. The cost will be to the parents, the child and the state. "$3 million. Mel’s lost earning capacity. $7 million. The cost for him to live in a group home from 18 until he dies in old age. $6 million. His care if he lives at home with his parents, and then with one of his two little sisters after their parents die. " Advocacy Alert! 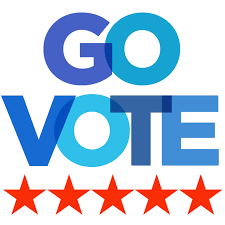 November 2016: Get Out and Vote! LIving in a democracy is a great privilege. True independence can only be achieved in a democracy where you have choice. Making a choice requires access to information. Access to information is not possible without freedom of information. Ultimately, our right to independence is only achievable if we all make our voices heard by exercising our right to VOTE! It is hard to imagine that it has been 25 years since our founder was the designer on the first Accessible Camping Cabin in the Wisconsin State Parks. We at NHU have been involved with several of the parks' accessible cabins built since then, including High Cliff, Richard Bong, Koehler- Andrae and Harrington Beach State Recreation Area and Parks. For more information on the cabins, visit our page on Recreation: Parks and Forests. July through October 15th, 2016 - NHU's Annual Flower Bulb Sale is Underway! Our organization needs your help. For every purchase made on our Flower Power fundraising site Flower Power Fundraising will give 50% back to New Horizons Un-Limited. Plant fall Flower Bulbs for spring and summer flowers to beautify your yard! Our 2016 NHU Flower Bulb Campaign link is no longer available. June 2016 - We want to Thank our Sponsors, Donors, and Golfers for Making Our 13th Annual New Horizons Un-Limited Benefit Golf Outing a Great Success! June 5, 2016 - Come Celebrate and Support the efforts of The Friends of Harrington Beach State Park Accessible Camping Cabin construction at their FREE Pancake Breakfast! Come celebrate and support this accessible cabin in the Wisconsin State Parks! Enjoy a FREE Pancake Breakfast at the Welcome Center from 8am until Noon. Pancakes, sausages, applesauce and beverages will be available without charge. (Donations are welcome to support the Harrington Beach Accessible Cabin) After breakfast enjoy the beach, pond, hiking trails at this natural treasure. Directions: Take Interstate 43 from Milwaukee 40 miles north to the Belgium, Wisconsin exit and follow the signs to Harrington Beach State Park. Wednesday, June 1, 2016 - Save the Date! 13th Annual New Horizons Un-Limited Benefit Golf Outing- See our Golf Registration below. Our 13th Annual New Horizons Un-Limited Benefit Golf Outing, will be held Wednesday, June 1, 2016 at Hawk's View Golf Club in Lake Geneva, Wisconsin. Need a change of scenery? 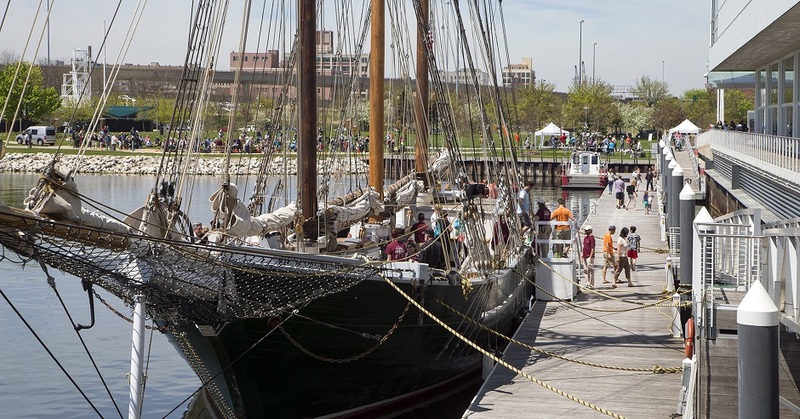 Visit Milwaukee's own re-creation of a typical 19th century 3-masted Great Lakes schooner, the Sailing Vessel - Denis Sullivan, for FREE deck tours for the whole family. Explore the S/V Denis Sullivan without leaving the dock! Go to the outdoor Dock on Saturday, May 28th for a chance to hop aboard Wisconsin’s flagship. Meet the incredible crew, learn how the ship works, explore changes in sailing technology, and experience Milwaukee’s rich maritime history. Deck Tours are great for all ages! Our 2016 event was held at the US Bank Center, downtown Milwaukee, March 23 and 24th. Thanks to our Raffle and Silent Auction Donors and to you, our supporters, our NHU Benefit Spring fundraiser was a great success! 14th Annual Benefit Raffle and Silent Auction Ticket Order Form no longer available. Other prizes include restaurant certificates, hotel stays, festival and museum tickets, sporting event tickets and more. Our 2016 Raffle List is in development. Check back often as we update our complete list of prizes before the drawing. Wisconsin State Parks will begin accepting Accessible Cabin reservations on January 10, 2016 for the 2016 camping season. There are eight accessible cabins currently available in the Wisconsin State Park System. The cabins are available for use exclusively by people whose physical disability makes use of traditional camping facilities very difficult or unlikely. Children who receive health care coverage through BadgerCare Plus, Medicaid, or the Katie Beckett Program and who have a need for behavioral treatment. October 2015 - As we look at the past 25 years of the American with Disabilities Act (ADA), we can imagine a bright future! Twenty-five years ago, through the Americans with Disabilities Act (ADA), our nation committed itself to eliminating discrimination against people with disabilities; guaranteeing that people with disabilities have the same opportunities as everyone to participate in the mainstream of American life -- to enjoy employment opportunities, to purchase goods and services, and to participate in State and local government programs and services. New Horizons Un-Limited is proud to work towards a future in which all the doors are open to equal opportunity, full participation, independent living, integration and economic self-sufficiency for persons with disabilities. In honor of the 25th anniversary of the ADA, NHU holds a spotlight on our efforts that are opening gateways to full participation and opportunity for people with disabilities. We should all be concerned with the future, because we will have to spend the rest of our lives there. - ------ Charles F. Kettering, Inventor What are we doing NOW, to ensure a bright future for all of us? Visit our NHU press release. Harrington Beach State Park, Belgium, Wisconsin is accepting reservations for the new accessible cabin for the remainder of the 2015 camping season beginning August 1, 2015, with occupancy beginning August 10, 2015. Fax or mail your reservation to (FAX 262-285-7821) or Harrington Beach State Park, 531 County Road D, Belgium, WI 53004, ATTN Cabin Reservation. The Campsite Reservation Request for People with Disabilities form can be obtained at the park or on-line at http://dnr.wi.gov/topic/parks/camping/cabin.html. For more information, contact Harrington Beach State Park office at (262) 285-3015. Please check back on this website often for updates on the accessible cabin. Friends of the Friends of Group of Harrington Beach State Park, Belgium, Wisconsin, representatives from the Wisconsin Department of Natural Resources, including the regional and park rangers and engineers, construction volunteers, workers, contractors, engineers, and donors including family members of Jim Schendel (who in memoriam inspired the construction of this cabin) were on site at the dedication ceremony of the opening of the Harrington Beach State Park Accessible Camping Cabin, July 8th, 2015. 2015 - July through October 15th - NHU's Annual Flower Bulb Sale is Underway! If you count down the days until your spring garden is in full bloom, our Fundraising with Flowers Sale has your name written all over it! There is a superb selection of Tulips, Daffodils, Irises and more available! We are now accepting orders online. Orders will be shipped to your door in time for fall planting. to check out this year's selection of bulbs and to support NHU with your order. NHU Announces the Dedication and Open House of the Harrington Beach State Park Accessible Camping Cabin. The Department of Natural Resources, Southeast Region, Harrington Beach State Park and the Friends of Harrington Beach State Park will dedicate the Accessible Cabin, Wednesday, July 8 at 1:00pm, with an Open House and Public Tours, Social, Snacks, and Refreshments at Puckett's Pond Shelter to follow. Harrington Beach State Park, 531 County Road D, Belgium, Wisconsin. Park at the Puckett’s Park Shelter lot and walk the trail to the cabin. Contact the office for accessible details 262-285-3015. Directions: Harrington Beach is about 35 miles north of Milwaukee and 21 miles south of Sheboygan, WI via Interstate Highway 43. From I-43, take exit 107 (Belgium/Lake Church) and go east on County Highway D about one mile. The park entrance will be on your right. Geographic coordinates are 43° 29' 37.81" N, 87° 48' 8.13" W.
June 7, 2015 - Come Celebrate and Support the efforts of The Friends of Harrington Beach State Park Accessible Camping Cabin construction at their FREE Pancake Breakfast! Come celebrate, support and help realize this next accessible cabin in the Wisconsin State Parks! Summer 2015 - NHU Announces The Friends of Harrington Beach State Park are finalizing construction of the 8th Wisconsin State Park Accessible Camping Cabin this summer! at the family campground of Harrington Beach State Park near Belgium, Wisconsin this summer! Congratulations to the Friends Group and their project manager, Neil Kraemer, for all the effort to make this next cabin a reality! Hey Milwaukee County residents, did you know that you might be eligible for FREE bus rides in Milwaukee County?! Our 12th Annual New Horizons Un-Limited Benefit Golf Outing, will be held Wednesday, June 3, 2015 at Hawk's View Golf Club in Lake Geneva, Wisconsin. 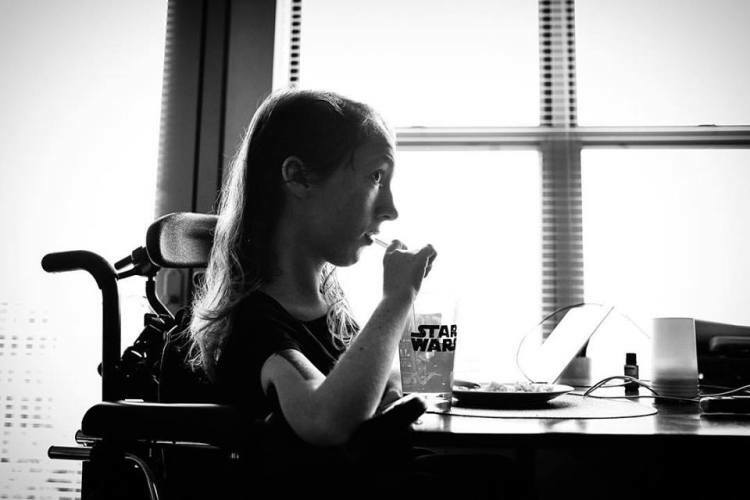 This past weekend the disability movement lost a dedicated advocate. In the early 1970s, Alberta Lessard challenged the system on mental health commitment laws and changed, through the US Supreme Court, the laws across the country to provide more protection for individual patients such as rights to legal representation, a timely hearing, a jury trial and cross-examination of witnesses. Alberta is absolute proof that one person can make a difference. She was an awesome, loving, caring, forgiving, special friend of one of the active members of New Horizons Un-Limited. She will be missed. April 16th - Join us for Earth Day 2015! U.S. Bank downtown Milwaukee. We will be at Earth Day -2015 at the U.S. Bank Galleria Leve,l downtown Milwaukee from 10 - 2. Recycle your computer equipment through NHU. We refurbish used computer equipment and grant workstations with Windows 7 to community members with disabilities. Come join us and many other Earth Day exhibitors. 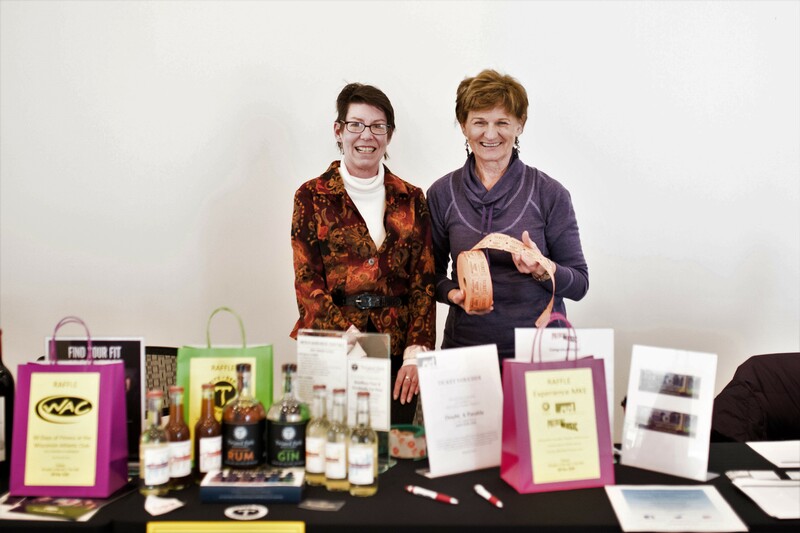 March 25, 26 - 13th Annual Benefit Raffle & Silent Auction was a Great Success! Thanks to our Raffle and Silent Auction Donors and to you, our supporters, our NHU Benefit Spring fundraiser was a great success. Check out our generous 2015 NHU Benefit Spring Raffle and Silent Auction Donors. Other prizes include restaurant certificates, hotel stays, festival and museum tickets, sporting event tickets and more. Our 2015 Raffle List is in development. Check back often as we update our complete list of prizes before the drawing. January 2015 - This year plan a day or two away at Welcome H.O.M.E. in Newburg, Wisconsin! 2015 Camping Season - Register now at the beginning of the year for the Wisconsin State Parks Accessible Cabins! J.M. Kohler-Terry Andrae State Parks Accessible Cabin! New Horizons Un-Limited collaborated with Miller Engineering Inc., Strass-Maguire and Associates Inc., architects, the Wisconsin Department of Natural Resources and various Friends of Wisconsin State Parks groups to coordinate accessibility issues and the design with the State of Wisconsin for the Wisconsin State Parks accessible camping cabins for people with disabilities. The accessible cabins feature numerous accessible amenities, ensuring that all people with disabilities can freely use the cabin and the park's amenities without fear of hidden barriers. Features include a fully accessible bathroom and kitchen and an accessible sleeping porch. All rooms are large enough to allow for people in wheelchairs to move freely about the cabin from the entrance ramps, doorways, undercounter space and the roll-in shower. Furthermore, all fixtures and controls are accessible, including the faucets, toilet, door and cabinet handles and light switches. 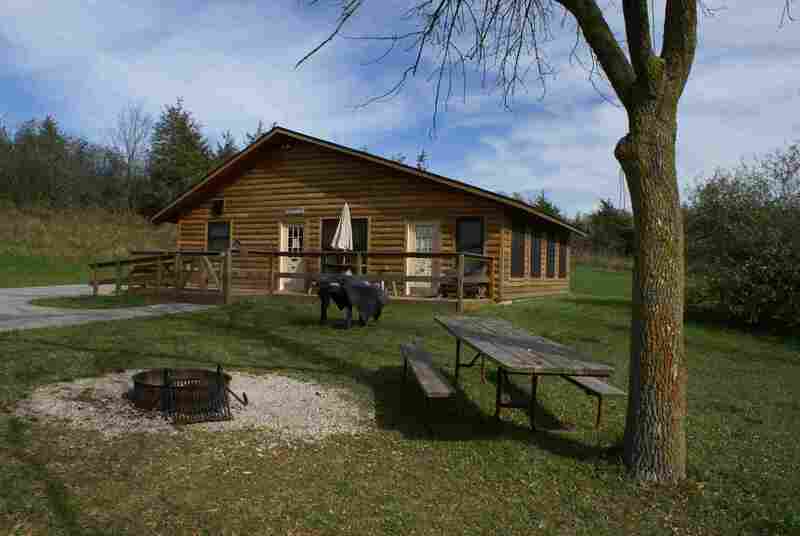 The Wisconsin State Parks are now taking reservations for the 2015 camping season for the Accessible Cabins! Plan now for your camping trip. December 2014 - New Horizons Un-Limited Celebrates Our 20th Anniversary! Since 1994 we have been providing our community members with disabilities the information, tools, and experiences that enable them to become confident contributing citizens! Thank you for being part of our 20 year journey! You have helped us to grow beyond our humble beginnings into a full service organization that has trained and supported hundreds of motivated individuals. We have seen our clients become advocates, earn their GEDs, graduate for college, find jobs, start businesses, all because they were given the tools and the ongoning support they needed to succeed. 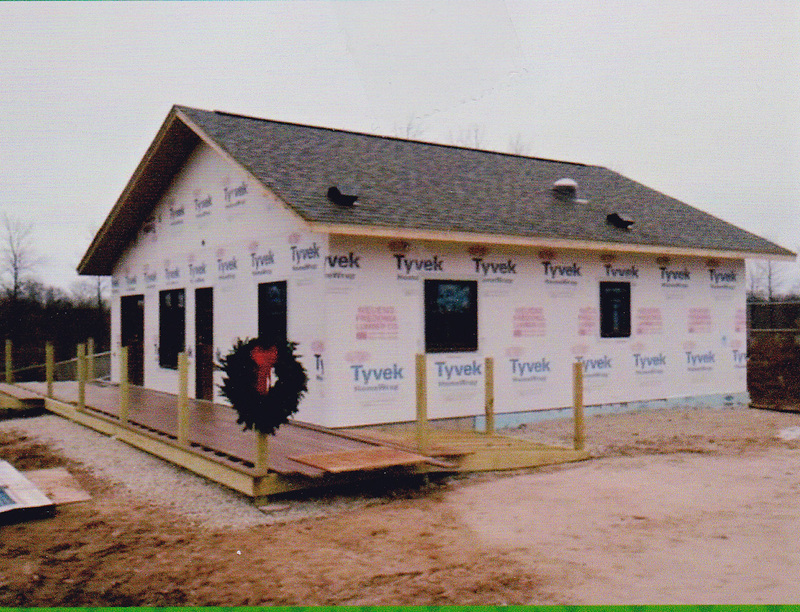 December 2014 - Harrington State Park Accessible Cabin - progress on the construction of the 8th Cabin for Wisconsin State Parks! In December, construction is progressing to build Wisconsin's 8th wheelchair accessible cabin at Harrington Beach State Park in Belgium, Wisconsin. The Friends Group is finishing the systems inside so they can insulate the new accessible cabin at campground site #114 at Harrington Beach State Park to get it closed ready for interior finishing work. If you haven't had a chance to contribute to this new cabin, contact Friends of Harrington Beach Accessible Cabin Project. The Friends Group of Harrington Beach State Park is planning a 2015 opening of the cabin. We will keep you posted when this new cabin will be ready for season reservations. © Copyright 2013-2019 New Horizons Un-Limited Inc.